Zaoqiang Yaxin Enviromental Protection Equipmental Co., Ltd. is a high-tech professional glass tank manufacturer for water treatment , with unique technical power and advanced production equipment. Our company was founded in 2006, located in Zaoqiang county, Hebei province. It Owns two mega blow molding machine, one rotational moulding machine and 4 FRP winding machine , with the annual production capacity of 150,000 sets. The company has passed ISO9001: 2008 to ensure the product quality. SO we cansupply FRP Tank with goood quality and competitive price. Inner shell-PE seamelss one piece tank liner. b. Liner wall thickness available from 0.150"(3.8mm) up to 0.300"(7.6mm) corresponding to the vessel diameter. Completely rust and corrosion free. We have different size, from 817 upto 6386. Contact us if you need more details on FRP Water Tank. 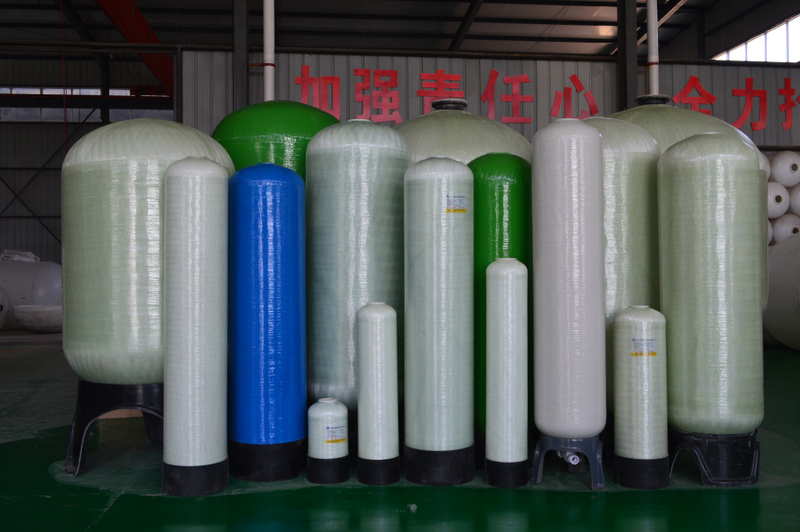 We are ready to answer your questions on packaging, logistics, certification or any other aspects about Water Treatment Tank、Industrial Water Filter. If these products fail to match your need, please contact us and we would like to provide relevant information.